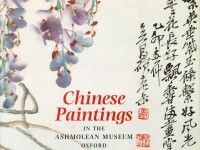 The Chinese paintings in the Ashmolean Museum are mostly nineteenth and twentieth century in date, with only a few examples from the Ming (1368-1644) and earlier part of the Qing (1644-1911) dynasties. The catalogue is not therefore divided according to period, but lists artists alphabetically according to the romanization in pinyin of their names. Where artists not from the mainland are known by other romanizations, they appear under that name, with the pinyin equivalent being given below. Artists’ alternative names, zi and hao, appear following the principal name in both romanization and Chinese characters. Inscriptions are reproduced in Chinese characters as completely as transcription and computer programmes allow; dates and occasionally other information are included in the catalogue entries, otherwise the inscriptions are not translated. Seals are listed by number and where they belong to the artist, that is indicated. Artists’ biographies are followed by bibliographic references to monographs and exhibition catalogues.